- I learned a lot about tablesaws. Nothing like taking one apart to learn how they operate. - adrenalin rush when you realize you’ve switched off the saw but the blade isn’t stopping! 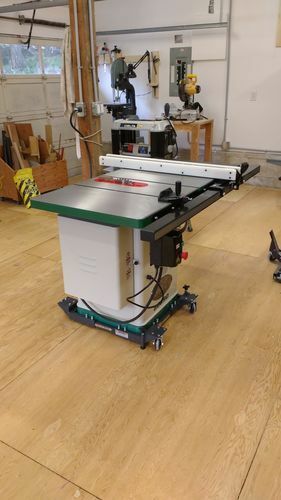 Much of this saga is told in real time on this LJ thread, but I wanted to provide a shorter summary, which would be easier to find for those considering purchasing a Grizzly G0690 tablesaw. My first cabinet saw! Brand new saw, paid full price. Assembly was fine. Looked sharp. Getting inside the saw – just what I didn’t want to be doing on a brand new purchase. This is how the replacement part they sent me showed up. For me, this picture really says it all. They just don’t care. 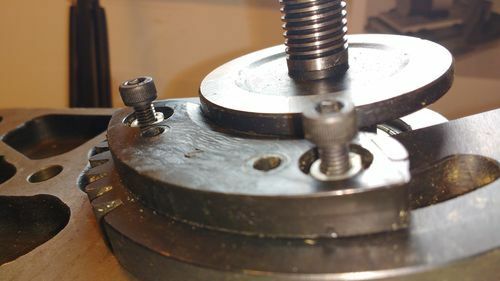 And the replacement part, a gear bearing assembly, didn’t fit properly, with the (stationary) riving knife components actually making contact with the (spinning) arbor. - Disregard for safety – after reneging on sending me a replacement, they told me to try to fix the saw by hitting the arbor with a hammer. Not exactly a high confidence solution. Any manufacturer can produce a bad machine, but what made me lose faith in Grizzly was their general refusal to simply do the right thing and take responsibility for the problem that they created. I live 2 hours away from their Bellingham location. They could easily have fixed this problem but did not. You went through a lot and more than anyone should. Grizzly should have done more. Grizzly seems to work fine for most and then once in awhile this happens. I will not buy Grizzly because this happens. Yes, I know that it does not happen very often but….. Very fair review of their product, but more importantly quality and service after the sale. Hopefully someone over there realizes this is what can be detrimental to their success once they read what we all read here. Look for something old and American on CL – haha. I remember your original thread on this. It was a good idea to start a new thread as a review to give the “executive summary” of your saga. I am sorry for your difficulties and appreciate the information that you are providing here. I just saw that you are in Canada – not sure how that affects reporting the safety issue. I wouldn’t accept that from the likes of Ryobi, Black and Decker, Skil or Central Machinery. Grizzly should do MUCH better with QC and customer support. Excellent summary. I had a very similar experience. The old saying” you get what you pay for”. The accuracy is like night and day. Reliable cuts & sizes. Increases confidence tenfold! Under those circumstances, I think you’d have a slam-dunk case in front of a magistrate. I looked hard at this saw a few years back and many seemed very pleased with their purchase. However there were just enough reports of flaws and issues on brand new sawa and deliveries that I wasn’t completely sold on it. 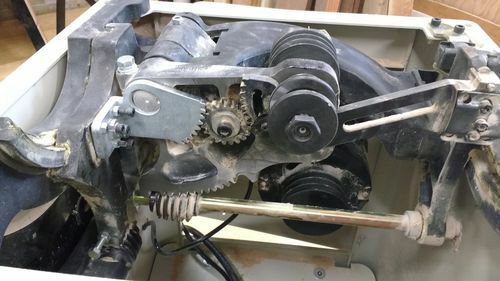 I wanted a saw with better dust collection and a bit sturdier construction and ended up spending a bit more, $1900, on a commercial Jet Xacta tablesaw. Very sturdy and flawless construction with 5 year warranty and outstanding customer service. Sorry you had to go thru this hassle. Sounds like an incredibly frustrating story. Grizzly seems to be a mixed experience; most reviews mention something that was wrong/broken etc but overall their price point is low enough and generally their CS is good enough that most of the reviews are positive. I’ve shied away from buying Grizzly b/c even with great CS, I don’t want the time and hassle of having to fix/ship back a machine, esp. from Canada. Seems like Grizzly’s business model is to manufacture things cheaply and make up for the regular flaws in their products by having reasonably good CS. Have heard too many stories on this site similar to yours; Grizzly is good at fixing the small stuff but if you get a complete lemon, you are out of luck. OK guys I am a Grizzly fan and have a lot of equipment from them. However, that said I to have had a few problems. My 10” cabinet Saw is the 1023 purchased in 1985. This last weekend I had to replace two Motor starter capacitors and take some sand paper to the centrifugal switch and points because after 30 some years these just wore out. 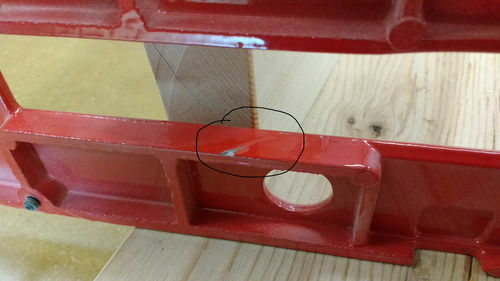 However, when I bought my really upscale 14 1/2 ” Band saw one of the carriage knobs had never been tapped. Fortunately I am a machinist and just tapped the knob myself. But not everyone would have Metric Taps and knowledge to do this. So after 30 years the table saw needed some TLC and the Band saw QC was out of control. I have many Grizzly products and have usually been very happy with the products over the years. Certainly unflattering to read this, as I was down to the G0690 or G1023RLW to pull the trigger on and almost did this morning, save for one last ditch effort to practice due dilligence. I think for now, I will hold off and put balm on my tool itch and do more research. I had the same experience with their band saw. It was poorly packed and dented from the motor to the doors. And then I ordered a maple bench top. 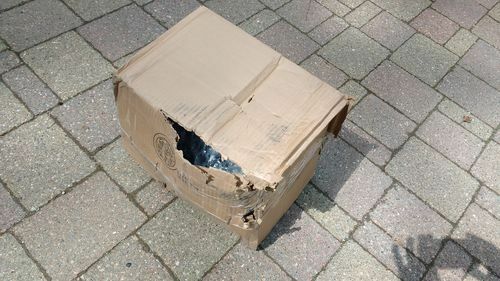 It came out of it’s packing and all messed up. I had to repack the band saw. I did a better job of repacking it than the original. I got the replacement band saw and the trust bearing kept wearing out. They said that the manufacturer installed the bearing holder upside down. On the damaged bench top I just refused it.